Supersolar is a top-down action game currently in an early prototype stage. Take control of an advanced spaceship and fight against swarms of aggressive drones. 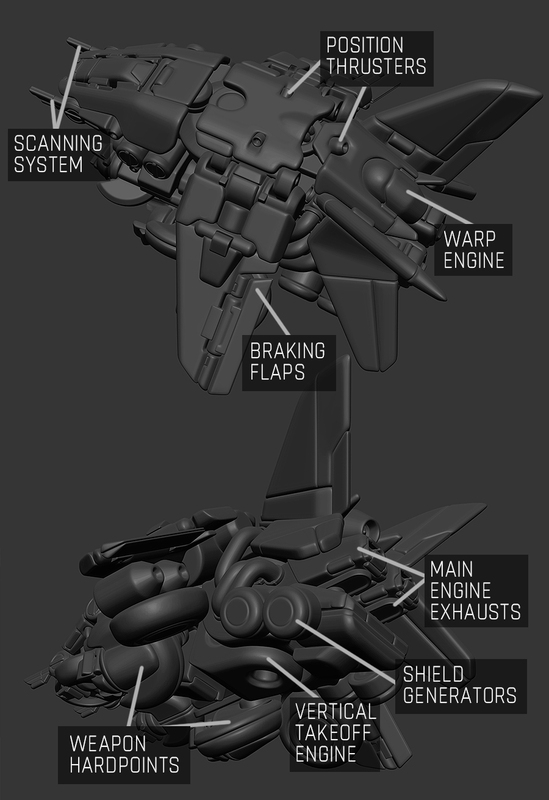 We want to focus on fun combat, cool ship designs and level art. Gameplay trailer coming soon! New updates on status of ships and progress on level design. Hello everyone, welcome to Devlog #01 for Supersolar, a top-down action game in early development. After a bit of a break, I'm back to work on the fun stuff - art and level - this is what I'll be showing today. For the trailer and demo I plan to release, I started blocking out a first "playground" level. I want to keep the level simple, but interesting at the same time. This first map will serve as a tutorial, as well as a gameplay and trailer showcase. Because the player ship moves only on a horizontal plane, my work is simplified a lot: there is the playspace area up close, a layer for far objects below, and super distant objects in the background, hidden by space dust and fog. The top-down camera helps too - there is no need for high res details or LODs - objects are pretty small on-screen. 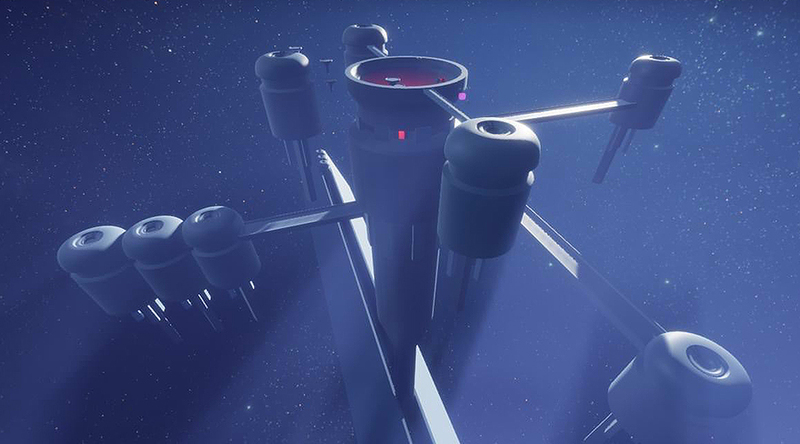 Player ship moves over bridges and platforms. This particular level will be an orbital utility platform for asteroid mining - so there will be some silos, hangars and mining equipment. The center piece is an arena to test out some combat. Even though the action happens on a horizontal plane, a layer of depth can be present: drones can spawn and attack from below. 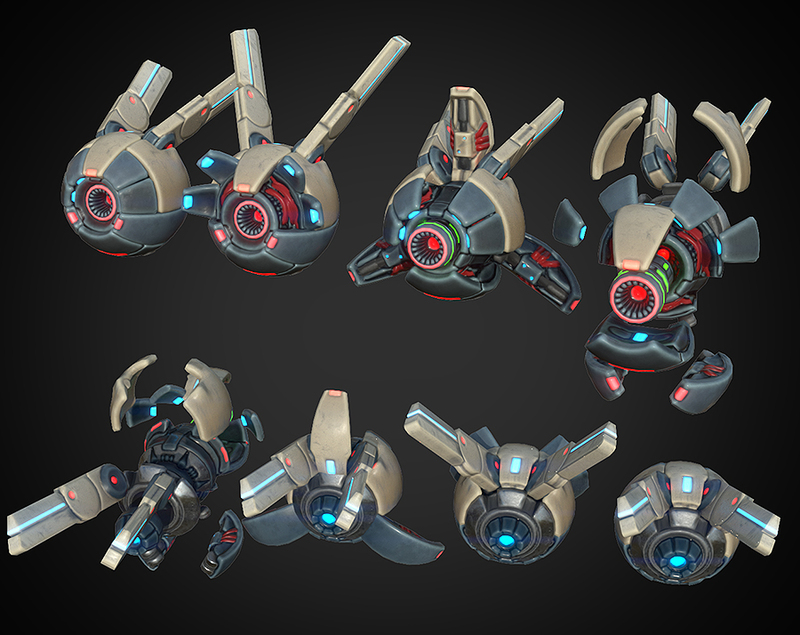 On the art side, drones are textured and implemented in-game. These guys are the main enemy unit and come in different variations. 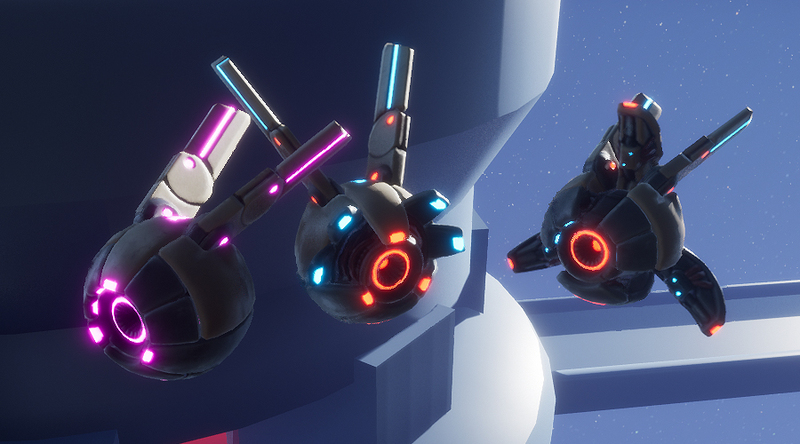 The lights can change in-game - drones alerted to the player ship will flash red lights for warning, damaged drones will put on some orange and yellow ones and try to retreat. Also explosion FX and damage decals are applied. These guys don't really fight back at the moment so it's a piece of cake to blast them to pieces! And lastly, player ship is getting close to completion. There are a lot of systems present on the ship: apart from engines, there are position thrusters that control the rotation, a scanning system, deep-space communication antennas, shields, EMP, cloak and more. Thanks for reading! Please share your thoughts or any feedback, as a first time indie dev I'd love to hear the community!